Bowling Green was the Everly Brothers’ last big hit. They were certainly taking cues from Simon and Garfunkel and The Turtles at this stage to stay relevant. But it works fantastically on this track. I first heard it when Neko Case covered it in a Peel session. Her version uses exactly the same chords just with a bit chopped off in the intro. The only exception comes right at the end of the second and fourth verses where you play G for a whole bar. Then there are triplets on the Am. You can either use your favourite triplet strum or just do all down strums. 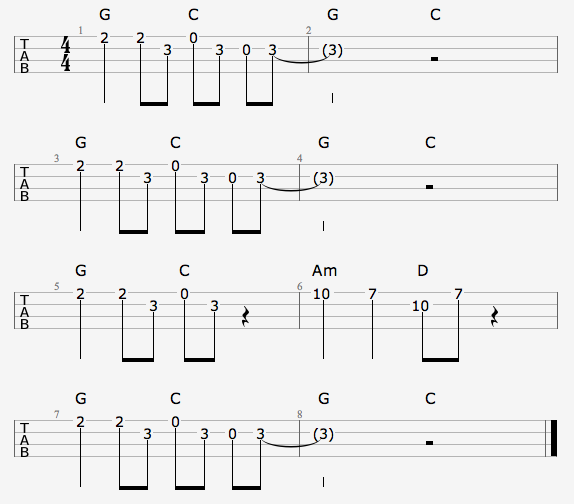 Then it’s one strum per chord until the final D where you can do a whole bunch of down-up strums.